Once wireless sensor networks are deployed, they are expected to work autonomously for a long time. However, the limited energy of sensor nodes is the main constraint in achieving it. Therefore, to increase the overall lifetime of sensor networks, the sensors must use their limited energy source in an energy-efficient manner. 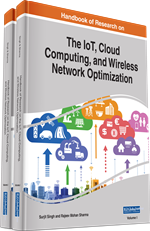 In wireless sensor networks, logical topologies play a significant role in ensuring various constraints such as effective use of limited resources, bandwidth utilization, latency, and quality of communication. In this chapter, the authors discuss three famous energy-efficient topologies of sensor networks that minimize the overall energy consumption during the communication process. These topologies are cluster, chain, and tree-based. The authors highlight the design issues of each topology and discuss the benefits of each topology over other topology. The focus of the chapter will be more on cluster-based rather than chain and tree as it is widely used compared to the chain and tree-based topologies for energy-efficient communication. The expeditious advancement in computer networks, wireless communication, Micro-Electro-Mechanical Systems (MEMS) technology and digital electronics has empowered the development of low-cost smart sensors (Mahapatro et al., 2013). Sensors have limited processing and storing capability. They are inch-scale devices equipped with integrated sensing, wireless communication capability, and finite energy supply. The sensors are networked together to form a wireless sensor network (WSN). WSN consists of hundreds to thousands of sensors (nodes) deployed in some geographic region to monitor, accumulate and report information. Applications of sensor networks include area monitoring, healthcare monitoring, air pollution monitoring, forest fire detection, landslide detection, water quality monitoring, natural disaster prevention, machine-health monitoring, scientific-data collection and structural health monitoring as shown in Figure 1 (Akyildiz et al., 2002). The sensors within the WSN accumulate information autonomously from their surrounding and neighboring nodes and communicate it to a base-station throughout the network lifetime as shown in Figure 2. The BS processes the received information for any decision to be taken. There are various safety-critical applications of WSN and therefore the decision accuracy of BS matter a lot. Less accurate or wrong decision may lead to severe consequences; such as loss of human life, economic loss, and environmental impacts, when unable to predict the occurrence of a natural disaster such as an earthquake, or forest wild-fire. The decision accuracy of WSN depends on many factors such as correctness of information (faulty or fault-free), timely dissemination of information etc. The total number of alive nodes is one of the main factors determining the accuracy of WSN’s decision. It is very important that nodes efficiently use their finite source of energy to survive for a long time. After the deployment, the possible ways through which the energy consumption of a sensor node can be reduced are: data-aggregation, reduce transmission power, and save idle time energy (Pachlor et al, 2017). Data-aggregation (Abirami et al., 2015): Readings of nearby sensors are spatially correlated. Data-aggregation eliminates this redundant data transmission thereby reduces the bandwidth usage and energy consumption of the network. The energy consumption of a sensor is directly proportional to the number of packets sent by the node. Reduce transmission power (Gao et al., 2006): The energy consumption of a sensor is directly proportional to the transmission distance. It can be reduced by adjusting the transmission power of sensors and allowing them to transmit data at short distances as shown in Figure 2(a). Sensors are capable of dynamically control their transmission power. Save idle time energy (Duty cycling) (Harris et al., 2009): In WSN, duty cycling can be done in two ways: (1) sensors that periodically send data can save substantial idle time energy using duty-cycles. The sensor turns on its radio component at times depending on whether it has data to transmit or not. (2) To ensure better coverage and connectivity, sensors are deployed in large quantity but after the deployment, sensors which are not needed to ensure coverage and connectivity can go to sleep and save energy. Overloaded Cluster: A cluster is said to overloaded cluster if no member of that cluster is able to take the responsibility of cluster head because of low-energy level. Balance Energy Consumption: Balance energy consumption says if sensor nodes start with same initial energy then they should die at same time and this will only possible when all sensors have same load. Global Clustering: In global clustering, the job of cluster head gets rotated among all nodes of the network by periodically forming new clusters. Duty Cycling: Sensor nodes which are node needed to ensure connectivity and coverage can go to sleep and save their energy using duty cycling. Data aggregation: Sensor nodes are deployed in large numbers for better connectivity and coverage. Data aggregation eliminates redundant data transmission by aggregating the data of nearby sensors. Local Clustering: In local clustering, the job of cluster head gets rotated among the associated cluster members to ensure balance energy consumption.